The Other Side of Dark is so much more than just a simple ghost story. It combines factual historical details with so many deep issues - family issues, racism, slavery - but doesn't come off as overly heavy-handed. Katie's and Law's stories intertwine as they come together to save Pinebank, a historic house in danger of being torn down for safety reasons. As they fight to find a reason to cancel the demolition, they discover unsavory details about the house and its owners and, in the process, are forced to face their own demons. I had no idea what this book would be about going in - I signed up purely because of the beautiful cover art. It was such a pleasant surprise! I really enjoyed learning about the history of Boston (not everything is historically accurate, but the majority of it is). Katie and Law were fantastic, richly layered characters, and I loved following them through their adventures. I can't recommend this book more! 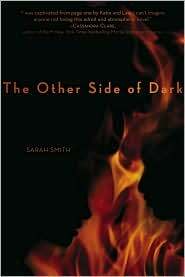 Sarah Smith will autograph your copy of her book! Click here for details.